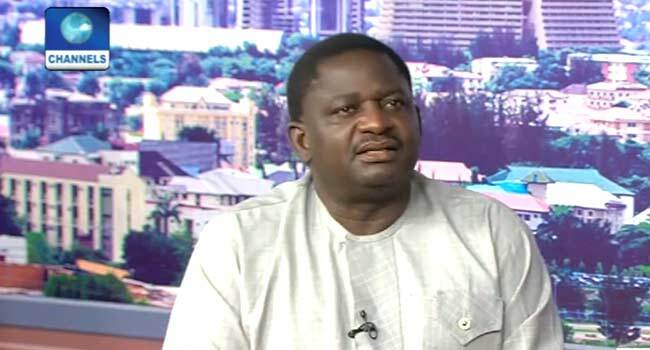 The Special Adviser to the President on Media and Publicity, Femi Adesina, says only God knows when the remaining Dapchi schoolgirl in captivity Leah Sharibu will be freed. Mr Adesina said this on Tuesday during an appearance on Channels Television‘s breakfast show Sunrise Daily. Although he believes that, ultimately, her return is up to God, Mr Adesina said the Federal Government is working hard to ensure she is rescued. “The Government is working on and at it, and we believe she will be back”. His comments are in reaction to an audio recording of Leah obtained exclusively and published by online news organisation TheCable on Monday. In the recording, the 15-year-old called on President Muhammadu Buhari to help her regain freedom. She also sought help from her family. Mr Adesina explained that her plea won’t be in vain. “Early in the life of this administration, the President said that whatever it will take to bring back the Chibok girls back he will do including paying. “The President is on record for having said that,” Mr Adesina said. He, however, dismissed claims that Boko Haram was paid for the release of the Dapchi girls. “For the release of Dapchi girls, there were no payments made,” he said. Leah, one of the over 100 schoolgirls abducted in February from the Government Girls Secondary School, Dapchi in Yobe State, was kept in captivity by the terrorists reportedly for refusing to renounce Christianity. A few hours after the recording was published on Monday, the Presidency said it was aware of it and the Department of State Services (DSS) had started an investigating. Leah, who was reportedly held back by her abductors for refusing to renounce Christianity, has been in captivity for about six months.